These essays offer fresh insights on the question of the paucity of women in higher education and together form a thoughtful and contemporary response to Lawrence Summers and the `Woman Question' in the twenty-first century. This uniquely interdisciplinary study offers a provocative, contemporary look at the `Woman Question' in relation to higher education at the dawn of the twenty-first century. Leading feminist scholars from a wide variety of perspectives and disciplines - including history, philosophy, education, psychology, sociology, and economics - evaluate the role of biology, discrimination, and choice in rationalizing women's exclusion from fully participating in the process of knowledge production, as well as examining institutional impediments. 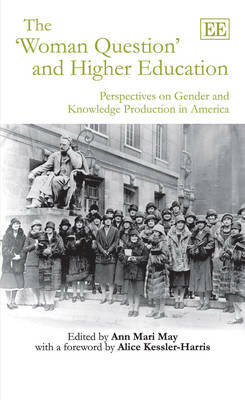 Contextualizing arguments against women's inclusion and including contemporary perspectives on gender, this book offers a rich, multi-layered examination and critical insights into understanding the near universal difficulties that women encounter as they seek to participate fully in the process of knowledge production. This book addresses one of the most compelling topics of our time and speaks to our need to understand the long struggle of women to gain an authoritative voice in higher education and the factors that underlie that struggle. Scholars and researchers of women's studies, higher education, and a range of humanities and social sciences will find this book a welcome addition to the literature.